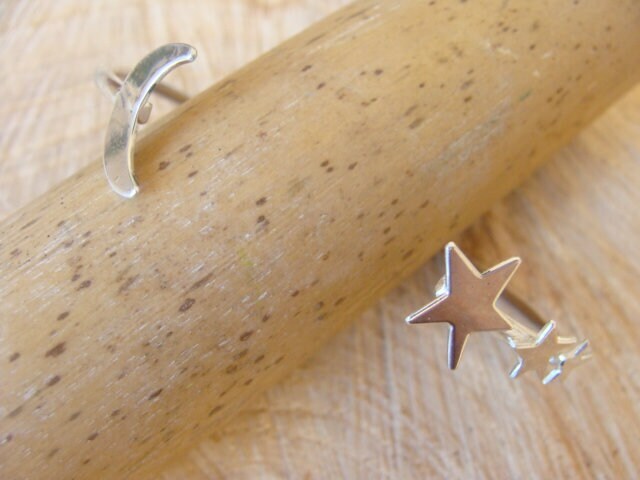 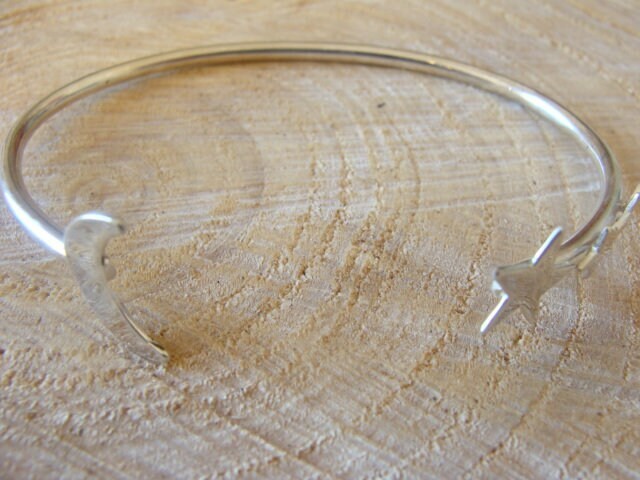 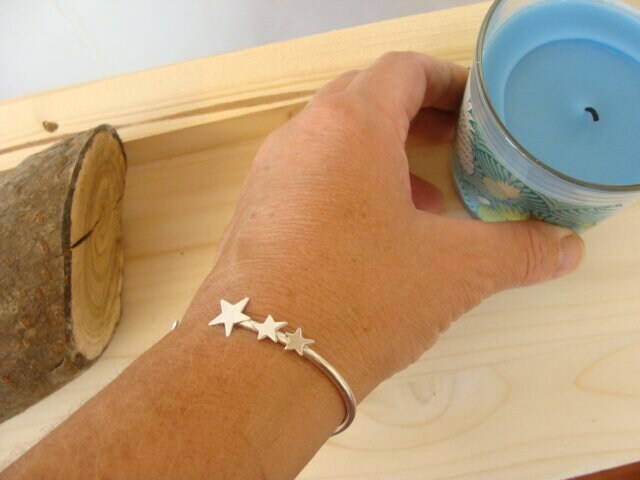 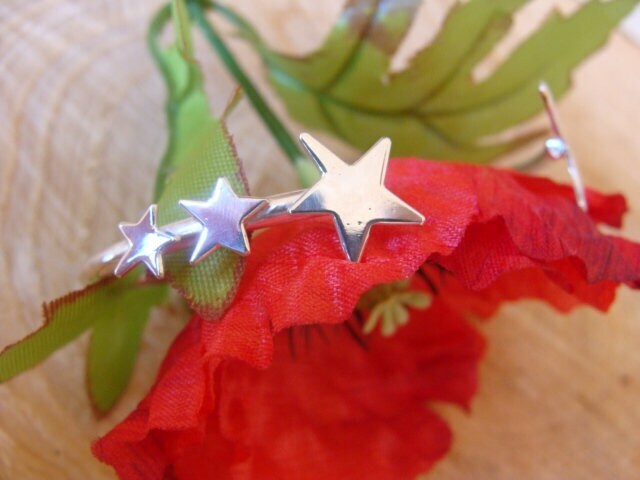 "Starry night" bangle in sterling silver 925 °, open and therefore adjustable. 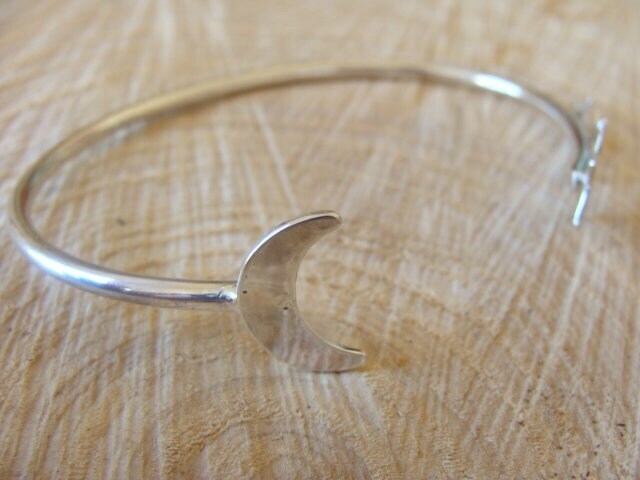 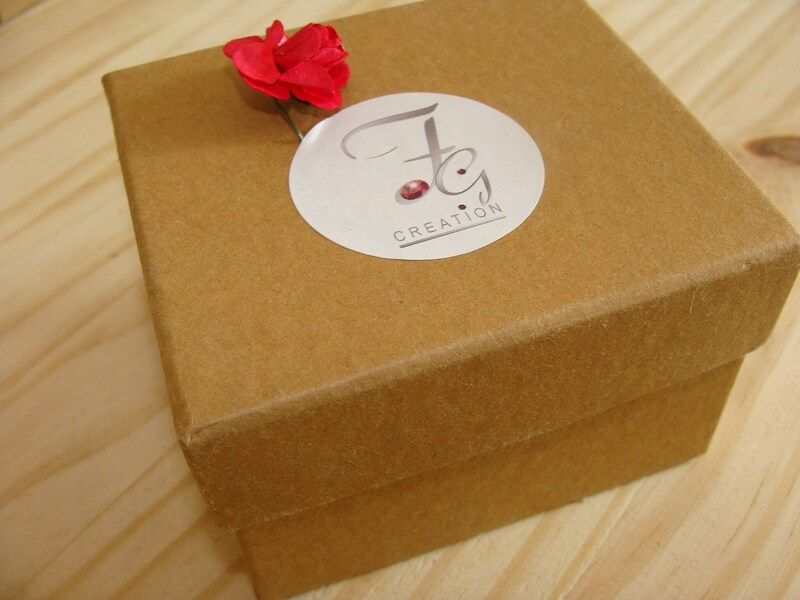 It is decorated with a crescent moon on one side, a shower of shooting stars on the other! 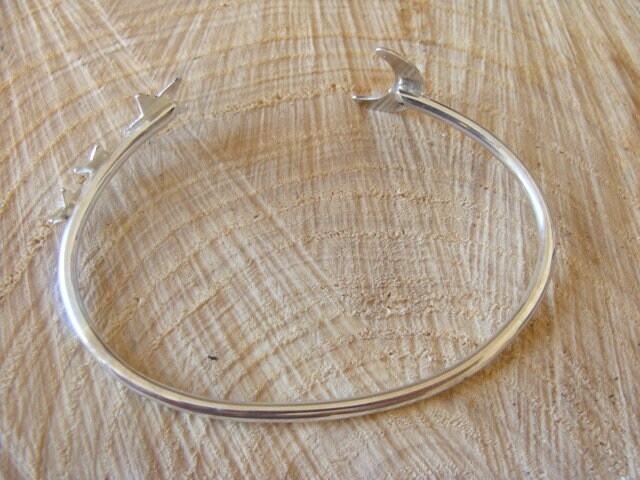 With the punch of Master, guaranteeing the precious metal and the designer. 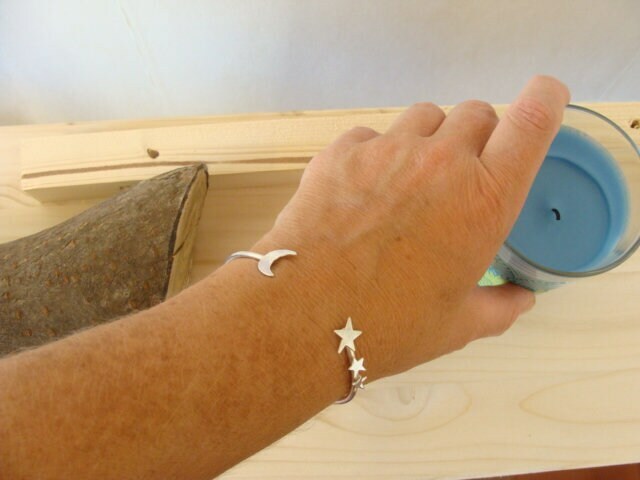 Unique piece entirely made by me in my workshop Lyon.